As another page on the calendar is turned, there’s no more kidding: summer is over. There’s no more important time for a cyclist to get their outfit right than the cooler autumn and winter months. Overshoot it and you’ll overheat to become a stinky, sweaty/wet mess. Underestimate the climate and you’ll be an icicle by the time you arrive at your destination. Even in the winter months, I stand by the Discerning Cyclist philosophy of stylish clothes you can cycle in, although there will undoubtedly come a few days were you need to baton down the hatches to ensure you don’t drown in the waves of rain. Most days, a water resistant jacket that keeps you warm and looks good will more than suffice for your rides. The jacket I’ll primarily be wearing this winter is the Helly Hansen Universal Moto Jacket which I reviewed a while back. There are plenty of options for you out there, though. 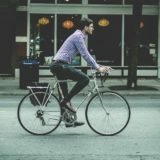 Be wary about wearing a big woolly coat on your rides, particularly if you have a lengthy commute as, although the coat may be snug when you’re walking about town, a long ride will probably see you overheat, which is pretty uncomfortable. A hood is totally your call. On the downside it can reduce your peripheral vision and make looking behind you a bit more challenging. However, on the plus side, if you’re looking to keep as dry as possible, it’s pretty much essential. I never buy a waterproof jacket that doesn’t boast a decent hood. 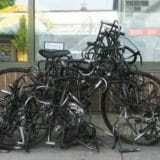 Even if you don’t want to use it while cycling, it’s still a good option to have off the bike. 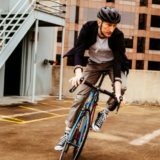 One jacket that has recently come out and caught my attention is the Lull Lined Jacket from Howies. 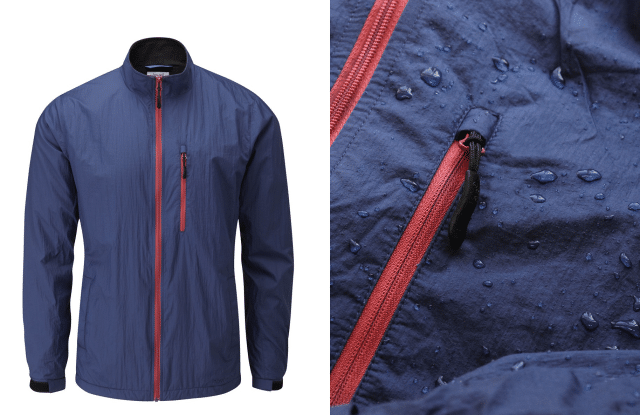 Available for a reasonable £59, this minimally designed jacket is extremely lightweight, windproof and uses a Durable Water Repellent (DWR) finish to keep you protected from most showers. It’s also a micro-fleece lined jacket, and so will aid you in the pursuit of keeping warm on your rides without getting to hot. Additionally, it boasts some reflective features on the back, as well as adjustable cuffs. Basically, it’s a great example of a cold weather cycling jacket. Another jacket that I’m fond of is the Endura FlipJak Jacket which you can get from Evans Cycles for £95. As you may have gather from its name, this Endura jacket is reversible between black and hi-viz. 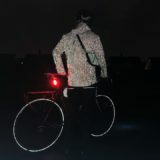 The black side looks cool and sleek and doesn’t stand out as a cycle jacket making it perfect for day-to-day use, while the hi-viz side is a great option when cycling in poor light or conditions. Similarly to the Howies jacket, the design is minimal and is both wind proof and water resistant. The jacket is also nicely insulated to keep you warm and boasts plenty of secure pockets. If you’re willing to splash the cash a bit more, there are also a great range of Vulpine winter cycling jackets available that are of an excellent standard (Cycle Surgery often also have discounted Vulpine products available) as well as at the kings of stylish cycling, Rapha. 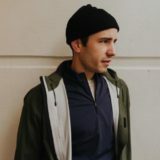 Meanwhile Café du Cycliste also have a very fetching urban jacket (pictured below), although it is made of Merino wool and so, while it will conserve your warmth, it will do little in terms of rain protection. While the aforementioned jackets are all very good and will protect you from all but the most severe downpours, there may – and let’s face it, probably will – come a time when you need the sturdiest of waterproof jackets to look after you. At this time I’d recommend you carrying around a packable lightweight jacket and over trousers as the last form of protection. I recently wrote a post highlight some of the best waterproof ‘kag in a bag’ style jackets available. If you get caught in a serious downpour, you’re definitely going to need some waterproof trousers. One problem in this area is that there are essentially no waterproof trousers that look good in day-to-day wear. Sure there are some good water resistant ones, but nothing that does the full shebang. Therefore, an essential item in your winter cycling artillery needs to be a robust pair of lightweight waterproof over trousers. You don’t need anything too fancy here. An elastic waist and ankle zips are a big bonus in making the quick change as stress-free as possible, but that aside there’s not much need to be breaking the bank here. 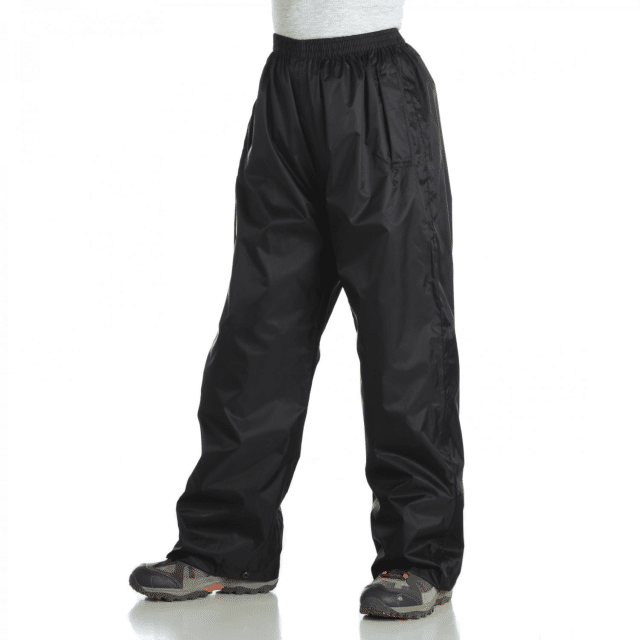 Something like the Regatta Pack-It over trousers will do just the job and shouldn’t cost you more than £10 on Amazon. When you roll into work soaking wet in the middle of January with the prospect of sitting down in your soaking pants for the next eight hours, you’ll regret not having invested that tenner (speaking from personal experience). Some bags and backpack are waterproof, many are not. But there’s no desperate need to rush out in an expensive new bag. You can get a waterproof rain cover for your backpack for just £2.49 on Amazon. Considerably cheaper than replacing your wet laptop inside. They might look pretty ridiculous, something more appropriate for a deep sea dive even. But waterproof overshoes for your commute are what separates the wheat from the chaff in terms of wise cyclists. No doubt you could fashion some waterproof numbers from an old plastic bag, but let’s face it: you’re going to look like a muppet. Sorry about that. One of the most popular overshoe products on the market (and rightly so) is the dhb Neoprene Nylon Overshoe, available from Wiggle for £20. A heel zip makes putting these overshoes on pretty easy, while discreet reflective features are also welcome. In short, they’ll keep your feet dry. 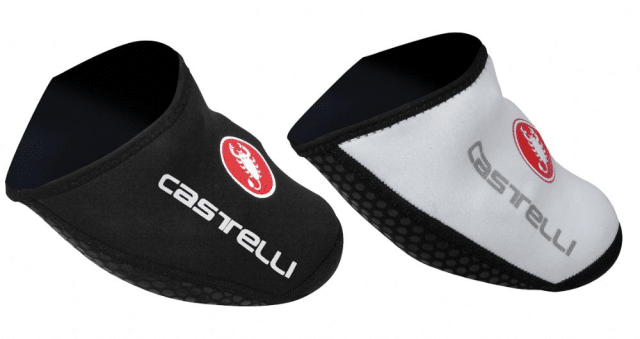 The Castelli Toe Thingy (great, appropriate name) is also a good option as it is very easy to put on and cover the part of your foot that is most likely to get wet, and is available for £14.99. Keeping warm on your rides, without overheating, can be a bit of a challenge that requires a bit of trial and error. Generally speaking, multiple thin layers are the best way to stay at a comfortable temperature. Merino wool base layers are especially useful for regulating body temperature, and can help wick sweat away from the torso. 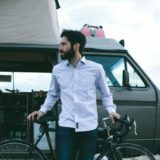 Ste did a great post on merino tops for cycling nearly three years ago now, but it remains very relevant, with the link below. 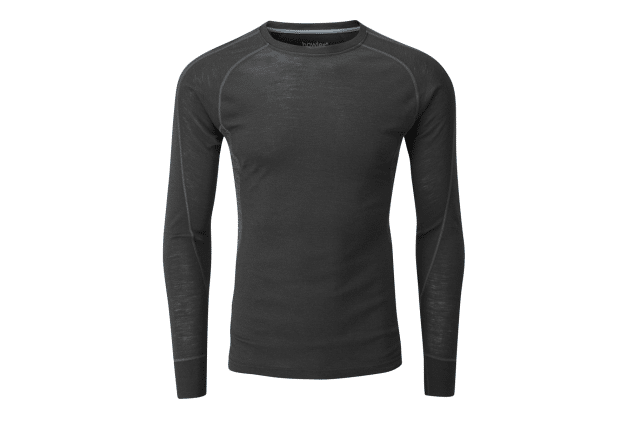 In terms of the best merino base layers for cycling out there at the moment, Icebreaker offer some of the very top quality stuff out there, although this tends to be pretty costly with prices around the £70/80 mark. A slightly cheaper, but still very good alternative, is with Howies who offer a good range of merino base layers for under £50. 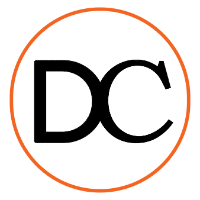 Obviously, this can still seem a pretty big investment for a base layer, so if you’re on the hunt for a bargain, you’ll be best turning your attentions towards Evans Cycles, Wiggle or even Amazon. Gloves – Keep your paws warm and dry. Saddle Cover – Keep your seat – and therefore your bum – dry. Can also use a plastic bag or a shower cap as a cheap alternative. Mud Guards – Back spray doesn’t look good, and those people cycling behind you will also appreciate it if you invest in some splash guards (get the full cover if you don’t want to splash others). Muc-Off Bicycle Maintenance – Managing rust and lubrication takes a lot more effort in the winter months, but a good bicycle maintenance kit will provide you with everything you need to keep your bike in top working order. Avoid standing water: It will get you wet, and you don’t know how deep that puddle is or what’s in it. Pointlessly risking a puncture or worse. Where possible, cycle around standing water. See and be seen: When riding in bad weather conditions always ensure you have a good set of front and rear lights as a minimum. Also try and wear nice bright colours if possible. Spare socks: Always pack some if you think there’s a chance of rain. Your feet will thank you later. Don some sunglasses: Huh? Sunglasses in the winter, what is this madness? While it might seem counter-intuitive, wearing sun glasses can keep rain and other bits of debris out of your eyes. Lower tyre pressure: If you bike seems more susceptible to skidding in wet conditions, you might want to lower your tyre pressure a touch to increase your grip on the road. Opting for wider tyres will also help. And there we have it. Have I missed anything? 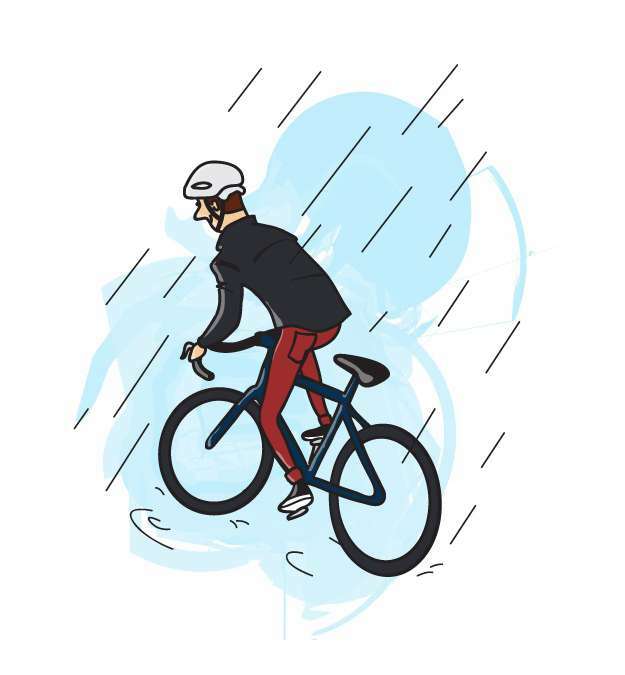 Feel free to comment below with your top tips for cycling in wet weather. Mudguards are the most important piece of equipment for wet weather cycling. About 50 % of the water that gets you in the rain comes off your tyres. Attitude is the key. The fact that you will get wet does not mean that you can not enjoy the ride. Thanks for your comment, Jayme. 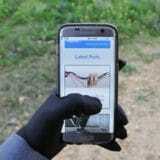 The “gloves” link simply opened an Amazon search for mud guards. Are they a sponsor? A paragraph on an equally important item of clothing was surely warranted? Ah darn’t. Thanks for pointing that out – that was merely incorrect linking on my part. Fixed now. Agreed that gloves are a vital piece of winter cycling kit, and I have a follow up post planned for this – hence the brevity of the description. Enjoy every season they are all different. Autumn & Winter can be spectacular on a bike with just a little bit extra preparation. Top tip: Try replacing an inner tube on a cold dark night in the garden or outside your home to discover if there are any issues, such as do you need a head torch, how much longer does it take in the dark, do you get too cold & need extra clothes, etc. Very true and an interesting tip – especially considering the light situation. Thanks for all the great Tips how to ride in the Wet Season, i can also recomend to use a Poncho from Otto London (www.ottolondon.com) this great Poncho is not only a nice looking one but comfortable a keep you warm and dry an all this with style! Thanks for your comment. The Otto London Poncho is indeed also a good option and you can read the Discerning Cyclist review of it here: Otto London Poncho Review. 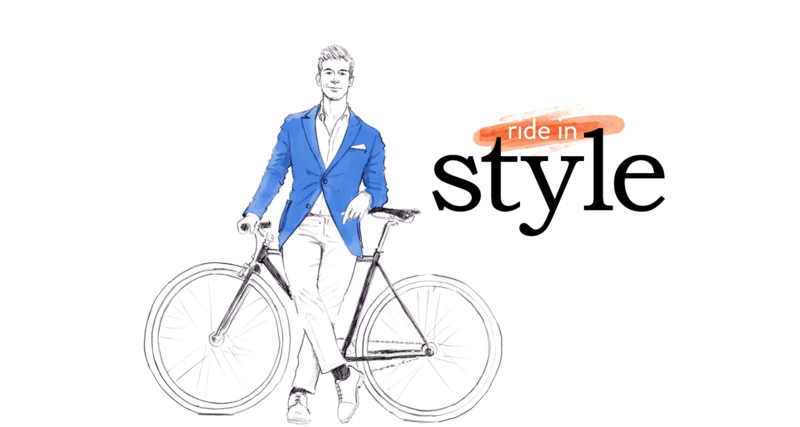 Thank you for the awesome guide for the stylish clothes you can cycle in during those cold months in winter. I would add a buff and a fine merino skull cap to perfect the outfit. A little extra tip yellow lenses sunglasses are good for contrast and bring a feeling of sunshine on a cloudy winter ride. Aye, I like a buff as well. Some of the stuff I have from Decathlon and Aldi/Lidl is great. I bought a pair of gloves from the fishing section as they were waterproof. Great purchase. I need to get overshoes though before my feet start getting webbed! Cycling in the rain can be fun! Cycling in Glasgow, good waterproofs are essential. I don’t regret spending a bit more than your recommended £10 on a pair of Endura waterproof overtrousers – they work over a pair of lycra shorts when the weather’s mild, tights when it’s cold and suit trousers on the way to work (I tend to change before leaving work and take a longer route home but like to arrive ready to strip off the top layer and start work). I cycle in Goretex trainers and change me shoes when I get to work. My feet have never got wet yet. Being bald I’d highly recommend a skullcap under your helmet and I’m definitely investing in a buff if I’m going to keep cycling through the rest of the winter. Surprised you haven’t listed waterproof socks here. They negate the need for overshoes and are twice as waterproof and twice as light. Sealskinz are the leading brand and coupled with overshoes you can ride for days in heavy rain without wet feet. It’s also nice when putting on wet shoes…your feet stay warm.